This Naval Spadroon is a replica of the one on the wax mannequin of Lord Nelson placed on display at Westminster Abbey in 1806. Spardoons of this style were very common and popular among the Naval Officers of Nelson’s Day. 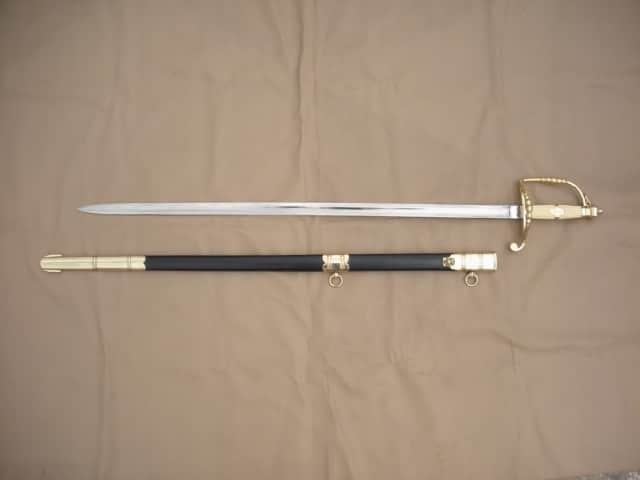 Fast and light sword, tapered just enough to allow quick thrusts yet wide enough for an effective slash. It has just enough heft to be able to ward off the heavier cutlasses used by crews on the fighting ships. The five ball guard doubled as a knuckle duster. 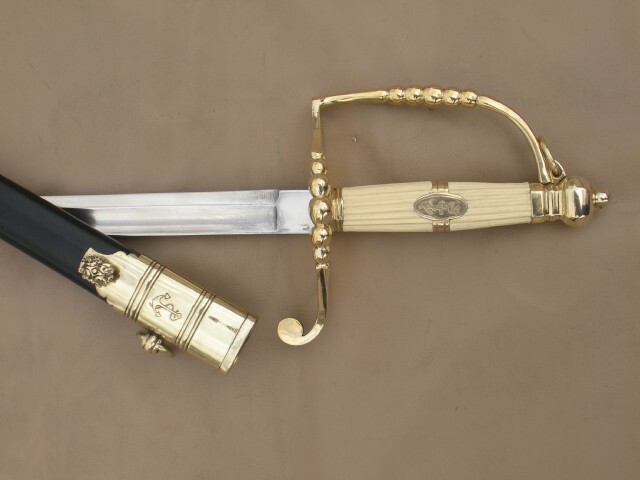 Grip is of faux ivory with a centered brass plate. 1055 high carbon steel tempered 84cm blade. Leather scabbard comes with brass accents and hanging rings.